It’s day 3 of WordCamp Chicago 2013. 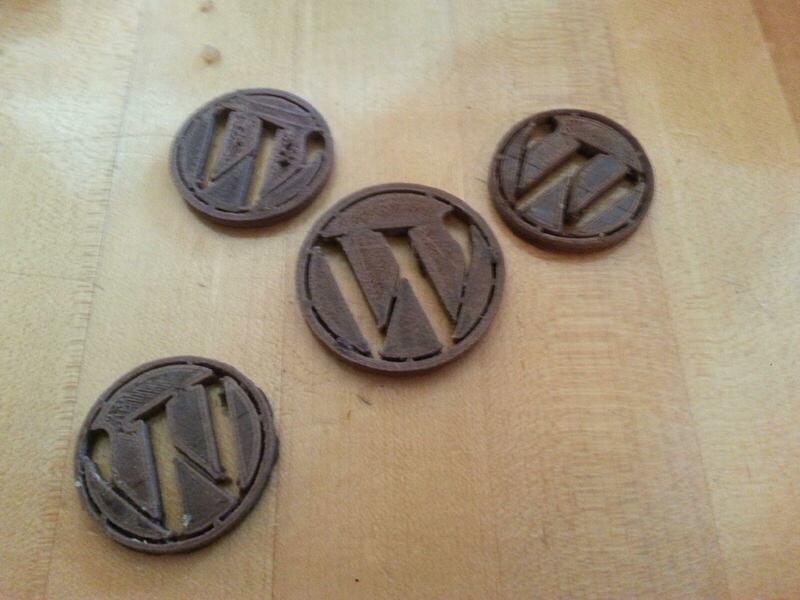 On day 1, the Foundation Friday, my hobby of 3D Printing came up in conversation and someone suggested that I print a WordPress logo. On day 2 I brought two 3D Printed logos, printed with Cherry Laywoo-d3, a material used for 3D printing made from repurposed sawdust mixed with a plolymer (pro tip: saying polymer in an meaningful context make you sound smart!). During the after party I was showing the logo’s off. Matt Boynes (@senyob) tweeted a picture. A few people retweeted it and asked if they could have one. Today I come with a total of 6 logos to give away to anyone who is interested (although 3 are already committed to specific individuals). 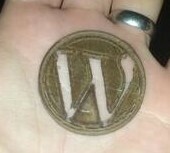 I wish I had thought of printing the logo sooner, I would have printed 30 of them and just handed them out. Maybe next year. If you want one and live in the Chicago area, or even work in the loop – let me know and we can work something out. Someone asked me today how to use WP_Query to get posts by a relative date. The codex provides an example on how to achieve this. Heres what is shown on the codex. I feel that its sloppy and not very flexible. Having to add the filter and remove it each time you want to do this is ugly. I solved this some time ago and had to dig through some old code to find it. Ultimately what I have done is the same solution, using the same filter, and utilizing strtotime() to get the relative date. However i’ve wrapped it into a simple “since” parameter that can be used on any query. Just a little nicer and simpler to use. This technique can easily be adapted to other custom parameters which result in modifications to the where or join filters.